QTX LED Starcloths for sale RGB | WHITE 36 | 96 LEDs, Yowcha Grimsby. QTX LED Starcloths for sale RGB | WHITE 36 | 96 LEDs, Yowcha Grimsby. The QTX LED Starcloths are made from high quality, fire resistant, low reflective material; they are quickly mounted onto a goalpost or DJ stand using the provided reusable cable ties. This makes them ideal for mobile DJs. You can use Star Cloths by suspending them from the rear of a stage area or surrounding a DJ console; hence creating a twinkling ‘star’ effect through LED technology. 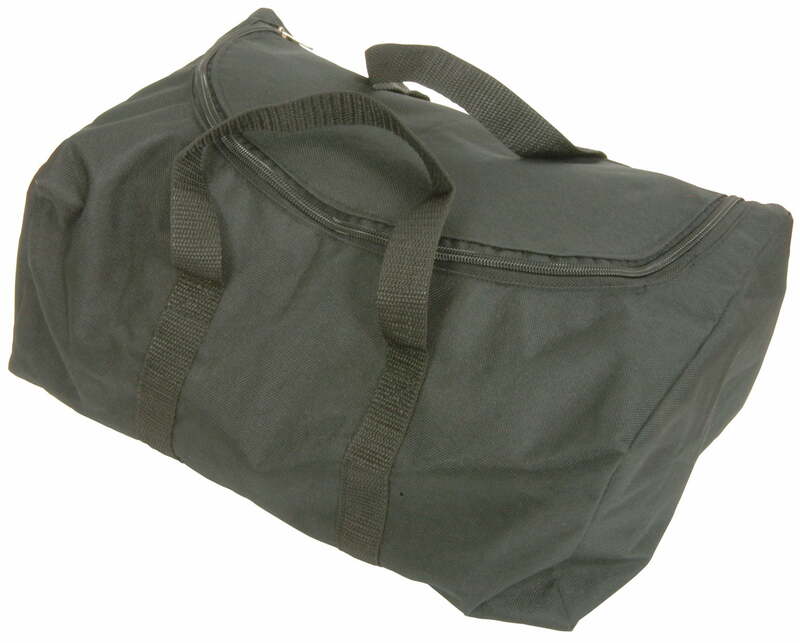 A black backing makes the cloth discrete and unassuming until the user switches on. 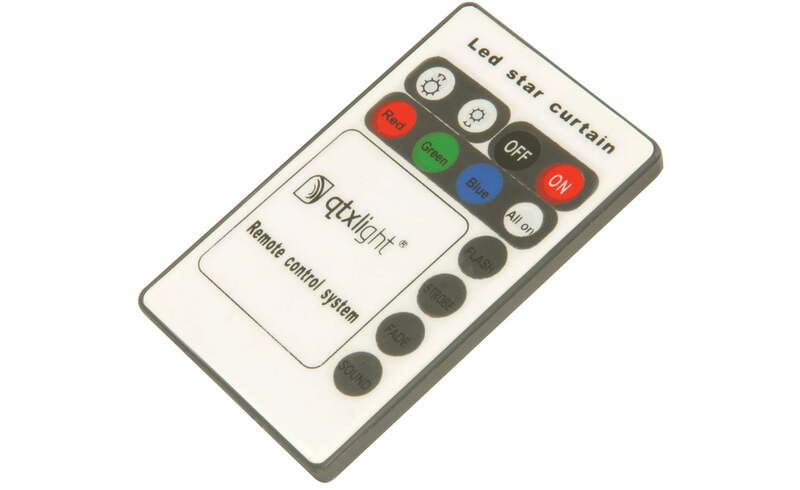 A controller and remote supplied; provides control of the brightness and ‘twinkle’ rate. Thus allowing the star effect be tailored perfectly to your desired theme. 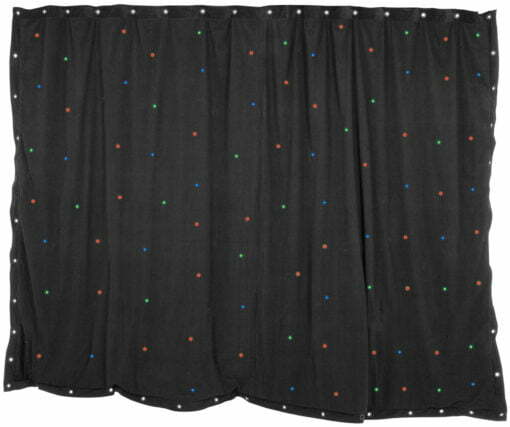 When looking to add a touch of class to the stage for awards ceremonies, DJ sets and conferences, choose a star cloth backdrop from Yowcha! Please ensure you order the correct type of Starcloth – We have 3 versions: 36 LED White, 96 LED White, and 36 LED RGB (Red, Green, Blue). 96 x 5mm LED’s (£179.00) (Size: 2m x 3m) White Only.